There are several ways to negotiate a custody plan with your ex. Many states require divorcing parents to attend mediation. You may also opt to attend mediation on your own. Present your side of the case to the mediator in a calm, rational way. Talk about any concerns you have about your spouse's parenting and provide the mediator with a clear proposal for your custody plan. You will be encouraged to reach a settlement and the mediator may tell each of you about the weaknesses of your respective cases in an attempt to encourage settlement. There may also be a guardian ad litem — a person, usually a lawyer, appointed to represent your child's best interests — in your case. The guardian may encourage you and your ex to settle and may even help you negotiate a custody plan. While you may not get everything you want in a negotiated plan, you're more likely to get something you can live with when you work with your ex rather than relying on a third party to establish the plan for you. All states use the "best interests of the child" standard in making custody determinations. The criteria judges consider vary slightly in each state, but general factors include the child's adjustment to her home environment, attachment between the child and each parent, and relative parenting competence of each parent. When crafting a custody plan, ensure it complies with your state's standards for a child's best interests. For example, if your child is heavily involved in a sport, the custody plan should not require the child to travel from one parent's house to the other during a time she would normally be at practice. If your child is well-adjusted to her school, the custody plan — if possible — should not require her to change schools. Except in cases of extreme abuse or neglect, it is almost always in a child's best interests to have significant time with each parent. If the other parent has a history of abuse, propose a supervised visitation plan. While you might have a general idea of the custody arrangement you want, designing a specific schedule is as important as the custody plan itself. Outline a schedule for weekends, holidays, summer breaks and birthdays. The goal should be to give each parent some of each. Many parents use an alternating-year schedule. For example, one parent might have the child on Christmas during even-numbered years and the other parent might get odd-numbered years. Address who has decision-making authority over the child. If decision-making is shared, provide information about how to resolve disputes. You could suggest attending mediation if there is a dispute or give each parent final say over certain areas; the mother might have final say over educational decisions while the father might have final say over religious decisions. 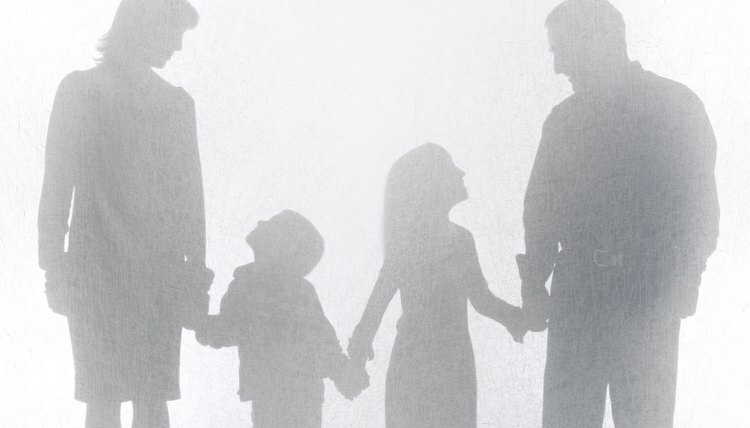 Because every state wants to protect children in custody cases, custody plans must be approved by the presiding judge if there is a pending divorce or custody case. If you reach your settlement in mediation, your attorneys will submit your plan to the judge who will issue an order and sign your plan. If you reach an arrangement independently, ask your lawyers to submit the plan to the judge or submit the plan yourself through the clerk of court in the family court in your county. Both you and your ex must sign the custody agreement. After the judge signs off on the plan, it becomes legally binding.